New Belgium Fat Tire Belgian White Special Release. 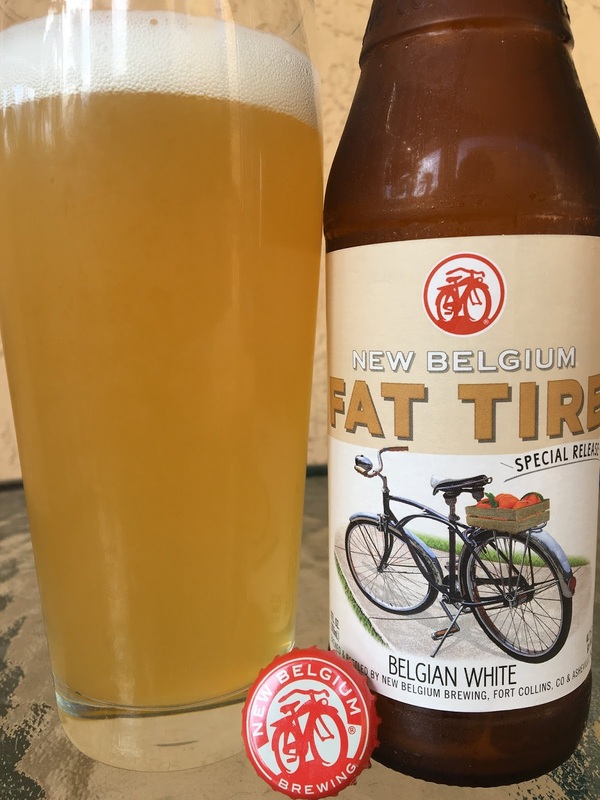 Yeah, I said it, New Belgium did a variation on their classic Fat Tire beer, brewing it with Seville orange peel and coriander. The bike on this label has a basket full of tomatoes, wonder where it's heading? 5.2% alcohol. Tangy and spicy aroma, plenty of orange. Chewy texture. Tangy and herbal flavors, that distinct New Belgium yeast right at the beginning. Spicy coriander builds within a few sips. Orange citrus it bright and a nice balance for the texture. Was OK.